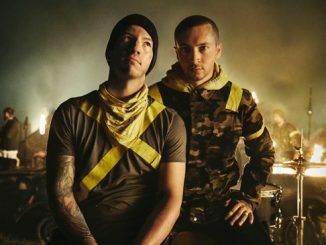 Twenty One Pilots were surprised by how successful their ‘Suicide Squad’ soundtrack ‘Heathens’ did as it was never intended for the superhero movie. 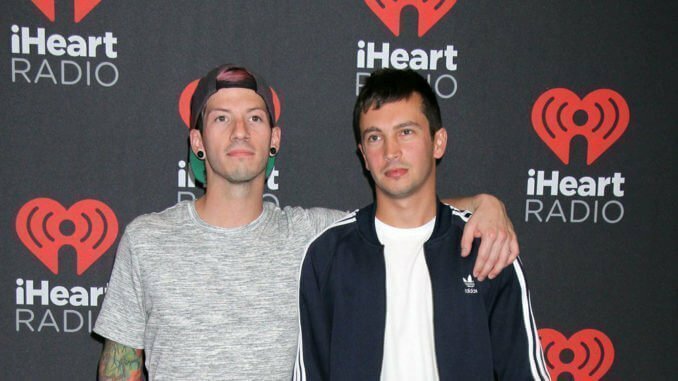 Tyler Joseph – who is joined by drummer Josh Dun in the pop-rock duo – has revealed that ‘Heathens’ wasn’t intended to be for the DC Comics superhero movie – which starred Jared Leto as The Joker and Margot Robbie as Harley Quinn – and admits it was “weird” that one of their first chart songs was featured in a blockbuster. Speaking about the success of the 2016 song, Tyler told MusicFeeds.com.au: “Yeah that was just an exercise for me. “I’d never written a song with a movie in mind and the ideas they threw my way I brushed off. “I was expecting them not to like it. I was writing a song for a future record. “I wanted it to be a Twenty One Pilots song the whole time and then when it ended up in the movie, we didn’t expect it to become a huge song but I listen back to it now and it’s just such a good song.” The 30-year-old musician – who is known to climb the rigging at their concerts – also discussed the ‘Stressed Out’ band’s epic live production and how they will never scale back their shows to save money.